I have an 11-speed Campagnolo chain I'm going to install. However, I don't have a peening tool. Do you think it would be safe to use a KMC Missing Link, instead? Do you think using the Missing Link would screw up the accuracy of the shifting with the Campagnolo chain? Would using a Missing Link as opposed to the recommended Campagnolo connector pin compromise the integrity of the chain? Last edited by mrblue; 01-24-17 at 03:29 PM. It should work. KMC's web site specifically says their 11-speed Missing Link is "compatible with KMC, Campagnolo, and Shimano 11 Speed Chains." ...and for whatever it's worth, Bianchi originally equipped my bike with a 10-speed Campagnolo drivetrain and a KMC chain. I've had no complaints about their choice of chain. I have KMC missing links for campy 11sp in my seatbag for emergencies, but decided to get the Park chain tool that's good for Campy peening (I think it's the 4.3), as I needed a chain breaker anyway and figured what the heck... going by that old standby adage that 'a chain is only as strong as its weakest link' .. mind you, no idea if a KMC link is really any weaker than a campy link, but I'd like to delude myself that it's so. Did you get the folding Park chain tool? Be warned before you use it in anger in an emergency...it is IMHO the worst designed Park tool I've used. The anvil doesn't stay in position in use, and the drive-pin likes to come out. Good to know though on the folding one -- though originally I thought I'd consider the folding one for the road when I actually thought I'd put a campy chain back together and peen if I suffered a break during a ride.. but decided against this for some obvious reasons. I think you're referring to this one? Too bad to see your review.. it looks nice though. The SRAM Powerlock 11 Speed Link works perfectly on my Campagnolo 11-speed chain, and also on an Ultegra chain. Recommended. I made the Powerlock removal tool from an old spoke. See this post. 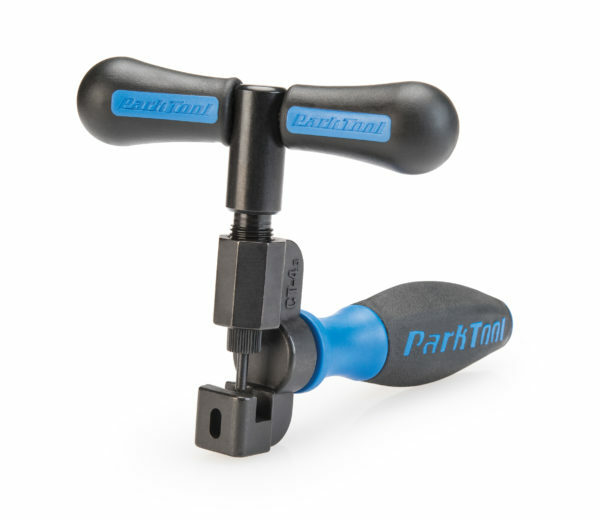 I've been using the Park Tool CT-5 mini chain tool. But it doesn't really have enough leverage for 11-speed chain pins. They are quite hard to push out. I had to hold the V shaped handle with a wrench. So I'll be getting the CT-3 tool. I imagine it will work fine. KMC makes a Missing Link specific to 11 speed so be sure to use the right one. Thought I was going to use one of the 10 speed spares I had on my 5800 11 speed chain and quickly saw it was a no go. To carry on rides or leave at home? 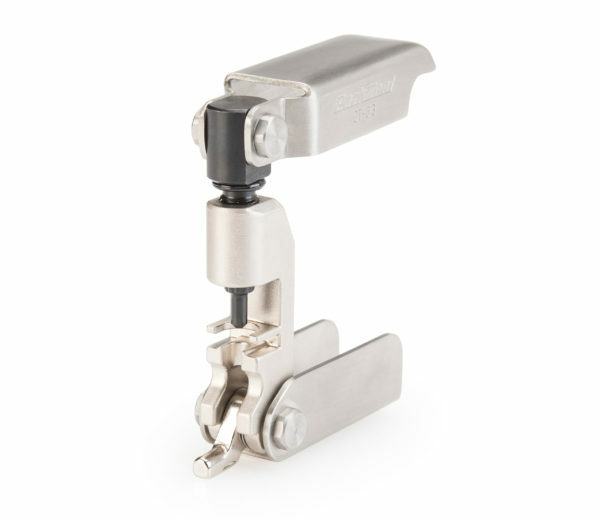 I just bought a Topeak Link-11 folding tool for bringing on rides as just a chain breaker (though in theory it can peen a campy chain too), though haven't tried it out yet. Yup, good old 6.3. I bought it based on a few reviews, and Park's rep. Only one of their tools that makes me swear when I use it. The drive pin will probably stop falling out with some thread locker (it rattles loose and out and then you go to use it roadside and the pin flies out when you open it), but the anvil needs held in position with your thumbnail while applying torque. I carry spare KMC masters for all my chains, the SRAM link is nice to-but you can buy half a dozen of the KMC links easy and cheap. Last time I had a snapped chain, just masterlinked it back together after breaking off the damaged/unneeded links. This. I use KMC Missing Links on all four of my Campy equipped bikes. No problem at all, they work great! FWIW, using one will void any Campagnolo warranty on your chain, cassette, chainrings, RD and FD - in fact any part that the link comes into contact with. If the chain is going to fail anywhere, it'll be the missing link. Chain failures, if catastrophic, which they often are, usually take out other components. Shimano have the same rule, for the same reason. Better to rivet / re-rivet and peen correctly, on the appropriate link. Would this bar fit MTB components?